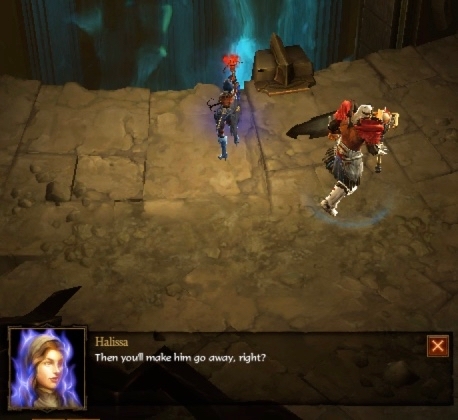 If you are playing the female Demon Hunter in Diablo III as your character, there is reason to believe that she might be Valla. So, who is Valla? According to the Diablo Wiki, Valla was born around 1265 (in the “Diablo universe” timeline). 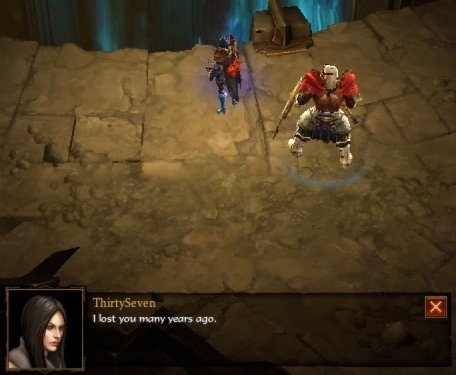 She was born around the time that connects to the Diablo II game. 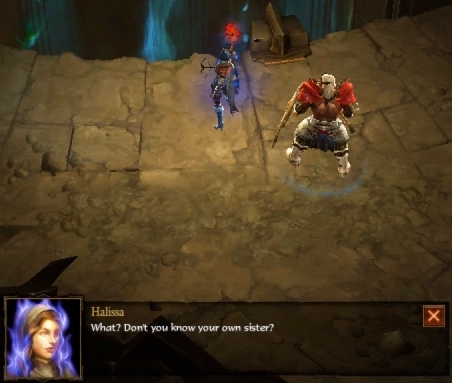 Sometime later, Valla’s younger sister, Halissa, was born. The sisters were close. At least one, if not both, of the girls parents were sawyers – people who sawed timber for a living. 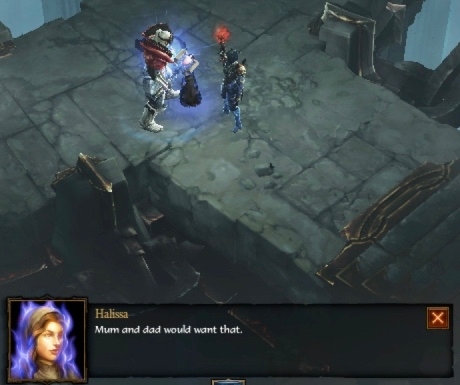 According to the Diablo Wiki, Valla, Halissa, and their parents lived in Westmarch . Demons attacked their town, and the girl’s parents were killed (along with many other people who lived there). Valla and Halissa survived because Valla grabbed her little sister’s hand and ran away with her. 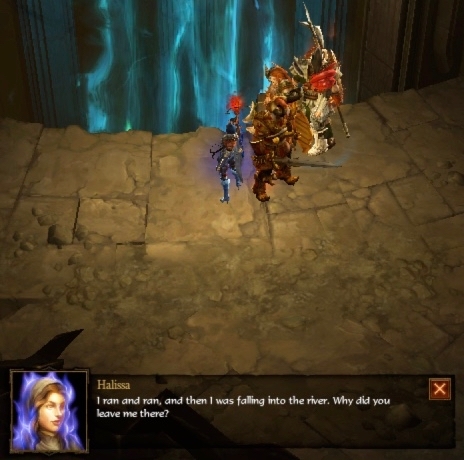 Valla, who was either a teenager or very young adult, became Halissa’s caretaker. But, that didn’t last long. 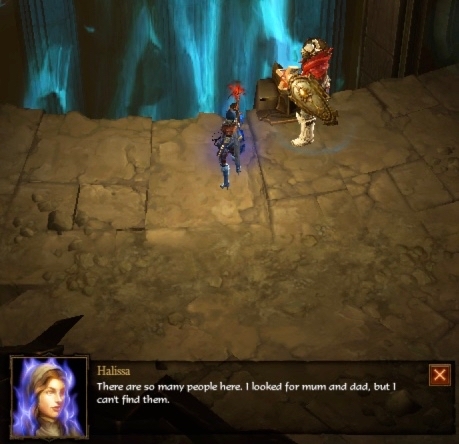 Shortly before Diablo III was launched, Blizzard Entertainment released a series of short stories – one for each character class. 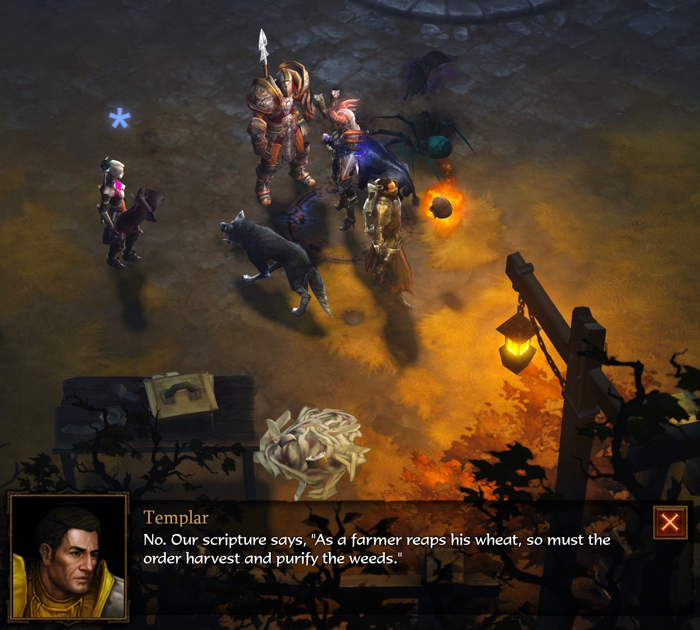 The one about the Demon Hunter was called “Hatred and Discipline“. 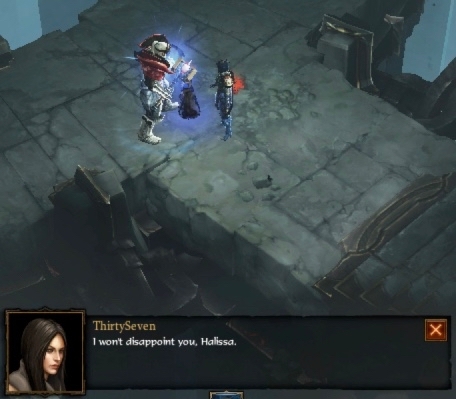 It was written by Micky Neilson, and originally posted on the Diablo III “Gathering of the Heroes” page, and can now be found through the Diablo III Game Guide about the Demon Hunter class. 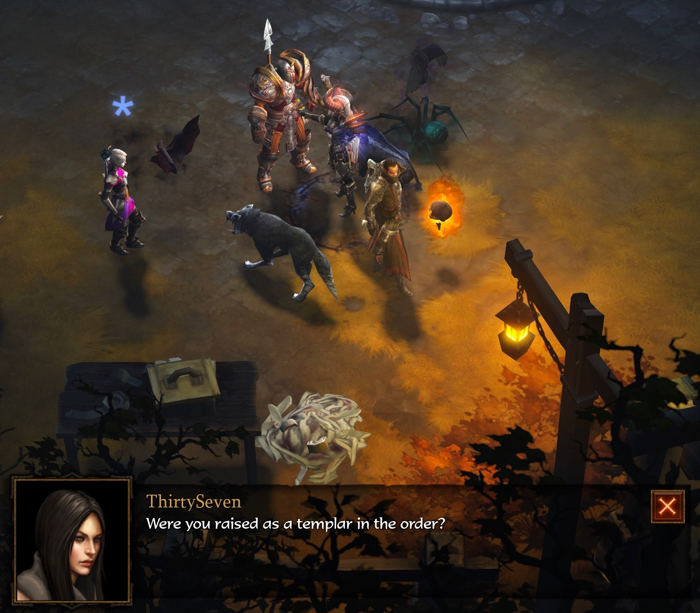 The Demon Hunter has two resources that they have to balance. One is called Hatred, and the other is called Discipline. This fits very nicely with the title of the short story. 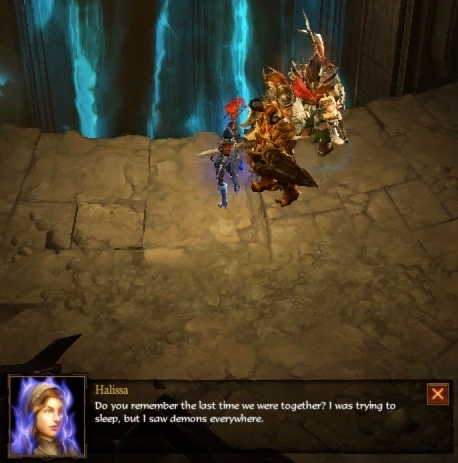 The main character in the story is a Demon Hunter named Valla. Valla had feared that Halissa would be swept away, lost forever… lost like the rushing waters that spiraled now into the core of the sinkhole, so very much like an eyeless socket. Her heart sank at the recollection, but she had grasped Halissa’s hand. It had worked out. 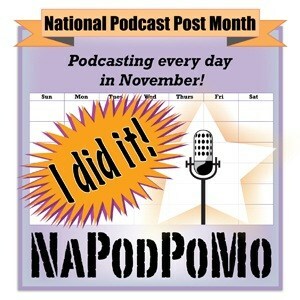 Everything had worked out in the end…. Except, that’s not really what happened. 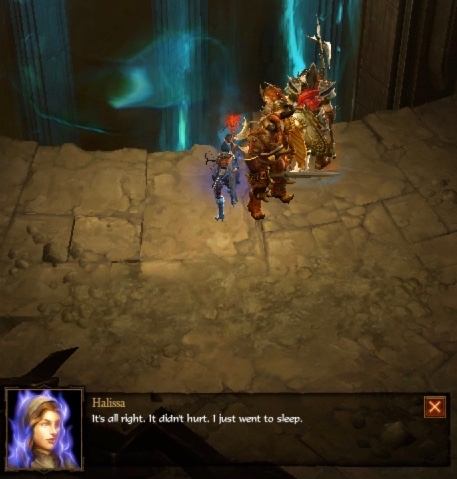 Valla eventually remembers (while fighting against a lesser demon of terror named Valdraxxis) that Halissa had died. Valla was able to grab her sister’s hand, but the girl slipped from her grasp and went under. 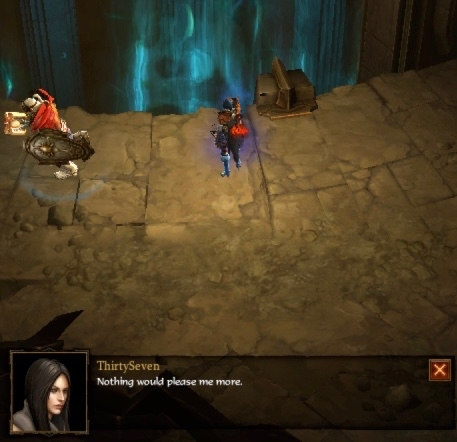 (The screenshots below come from the female Demon Hunter Act I cinematic in Diablo III. 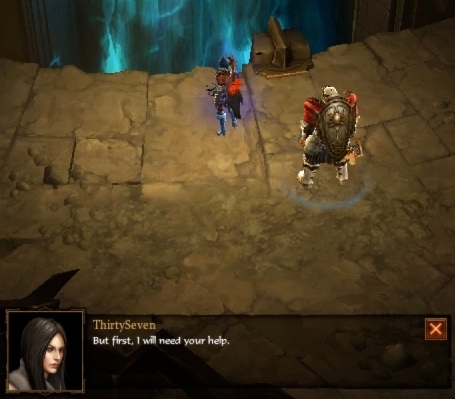 They are also part of a video called Diablo III: Darkness Falls. Heroes Rise: The Demon Hunter which was released on April 3, 2012). Valla was there all by herself, in a graveyard filled with the bodies of the rest of the townspeople, grieving her loss. She went to visit the graves of her parents. It appears that Valla was not able to retrieve her sister’s body from the river. She set up a gravestone for Halissa anyway. It was then that the Demon Hunters found her. The Demon Hunters formed around 1270 (according to the Diablo Wiki timeline), just a few years after Valla was born. The Demon Hunters would find people who were alone, and who obviously had been through trauma. Instead of recruiting, the Demon Hunters gave people a choice: Do you want to run, or do you want to fight? Valla chose to fight demons. The “Hatred and Discipline” short story starts with Valla going to a what was left of the town of Holbrook, which had been attacked by demons. She goes there with Josen, her mentor. She is getting towards the end of her Demon Hunter training… but Josen doesn’t think Valla is quite ready to go after demons by herself yet. 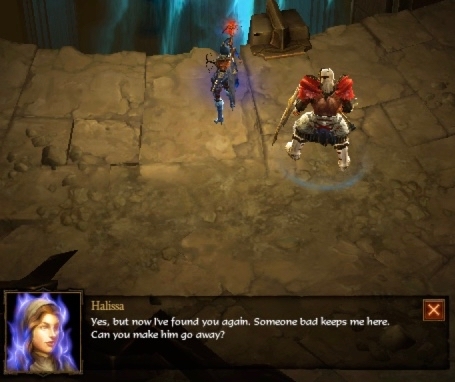 At the end of “Hatred and Discipline”, Valla makes one more visit to Halissa’s grave, and the graves of their parents. She carries a drawing of her sister with her. 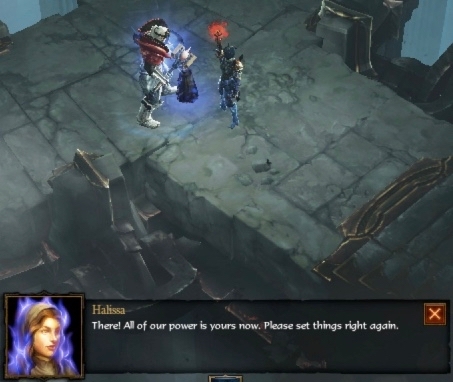 Josen goes to Valla and informs her that people who have precognition have said that a star will fall in Tristram seven days from then. 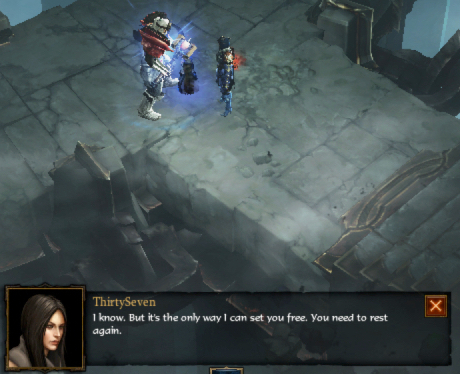 This puts Valla squarely at the start of Act I of Diablo III, seeking the Fallen Star. 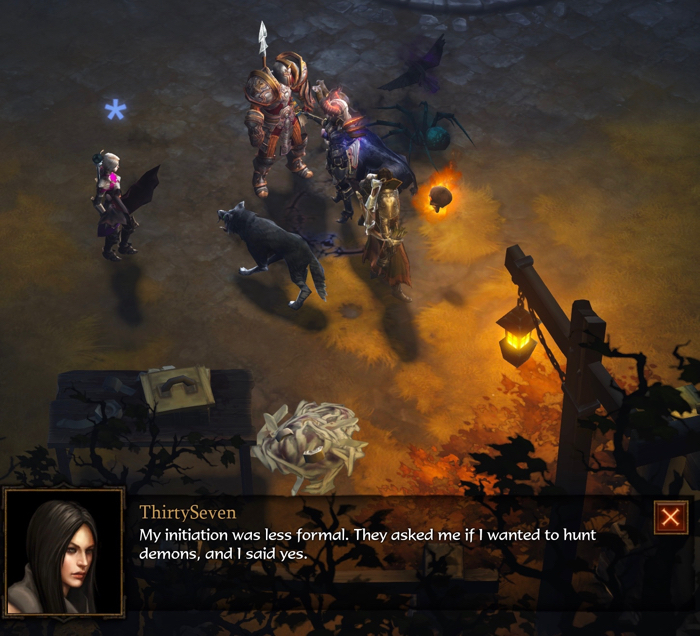 (The screenshot below came from the in-game female Demon Hunter cinematic before Act I). 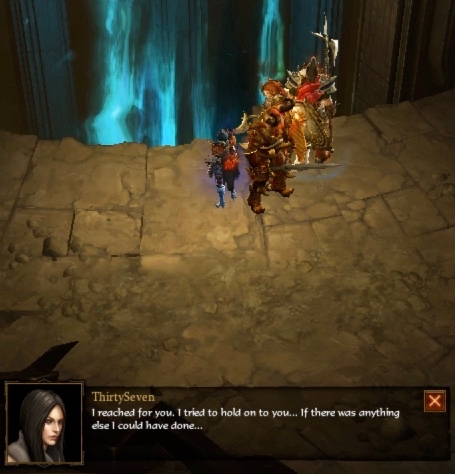 When she gets to New Tristram she meets several people, including Kormac the Templar. They have a short conversation. Valla: Were you raised as a templar in the order? Valla: My initiation was less formal. 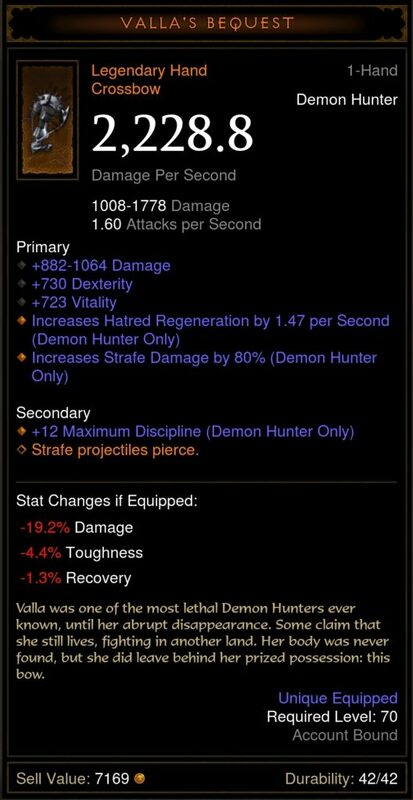 They asked me if I wanted to hunt demons, and I said yes. 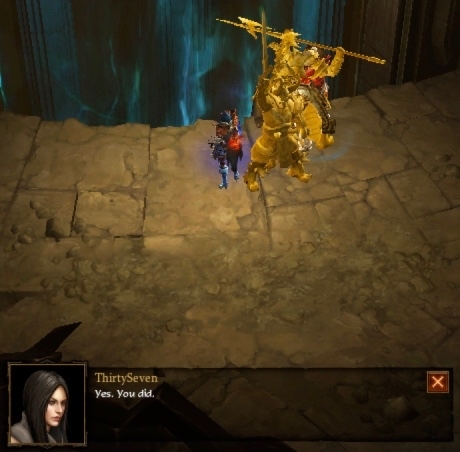 There is another clue in Diablo III that makes it clear that the female Demon Hunter player character is Valla, and not just some other Demon Hunter. It becomes obvious in Act V when the player character is on their way to fight Malthael. 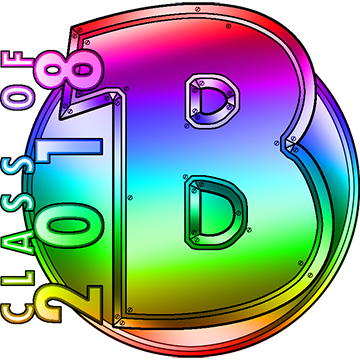 Each character class speaks to a spirit that is personally significant to them. 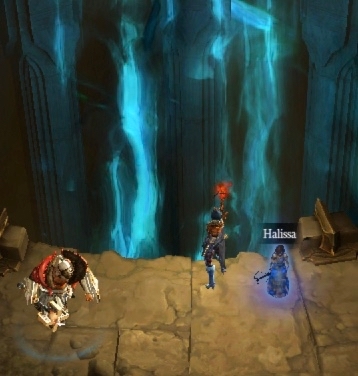 It is there that Valla finds the spirit of her little sister, Halissa. Valla: Halissa? It cannot be. This is some…trap. Halissa: What? Don’t you know your own sister? Valla: I lost you many years ago. Halissa: Yes, but I’ve found you again. Someone bad keeps me here. Can you make him go away? Valla: But first, I will need your help. 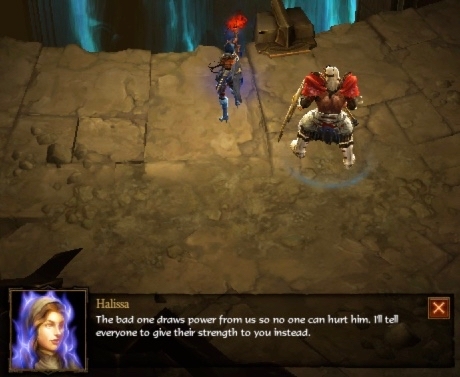 Halissa: The bad one draws power from us so no one can hurt him. I’ll tell everyone to give their strength to you instead. Halissa: Then you’ll make him go away, right? Valla: Nothing would please me more. Halissa: There are so many people here. I looked for mum and dad, but I can’t find them. Valla: I hope they are at rest. Halissa: No. They’re somewhere nearby. I hear them – screaming. Always screaming. Halissa: Do you remember the last time we were together? I was trying to sleep, but I saw demons everywhere. Halissa: I ran and ran, and then I was falling into the river. Why did you leave me there? Halissa: It’s all right. It didn’t hurt. I just went to sleep. At this point, it seems like Halissa doesn’t know she’s dead. She remembers the events of her death, but has interpreted them as “falling asleep.” Her older sister, Valla, doesn’t want to tell Halissa that she died in the river. 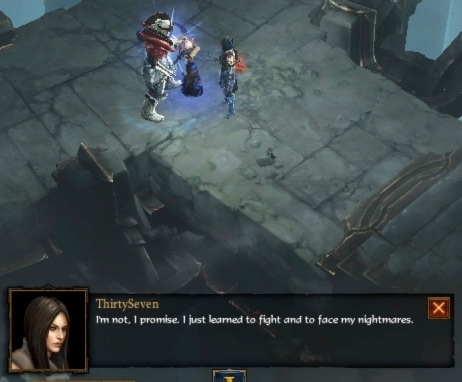 What makes this story even more sad is that, by the time Valla is ready to fight Malthael, she knows the he has been stealing people’s souls and using them to make himself more powerful. 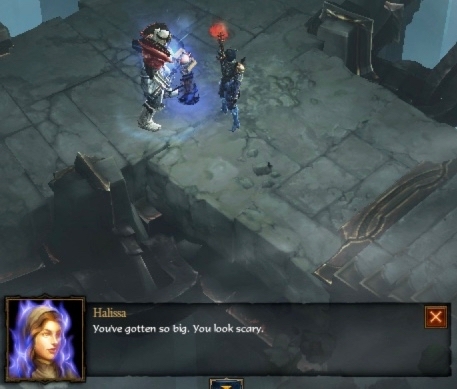 Halissa knows that she (and all the other people there) are being used by Malthael. And yet, the poor kid doesn’t quite understand that she’s not alive anymore. As promised, Halissa begins helping her sister. She tells the other people to give their strength to Valla, instead of to “someone bad” who keeps them there. Halissa: There! All of our power is yours now. Please set things right again. Halissa: Mum and dad would want that. 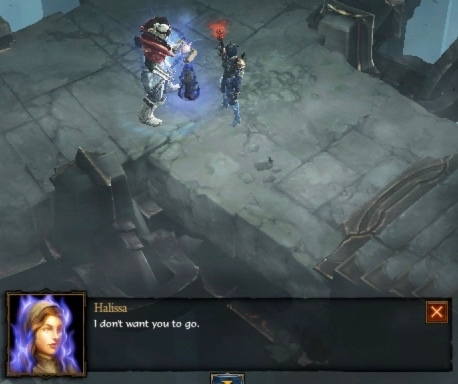 Valla: I won’t disappoint you, Halissa. Halissa: You’ve gotten so big. You look scary. Valla: I’m not, I promise. I just learned to fight and face my nightmares. 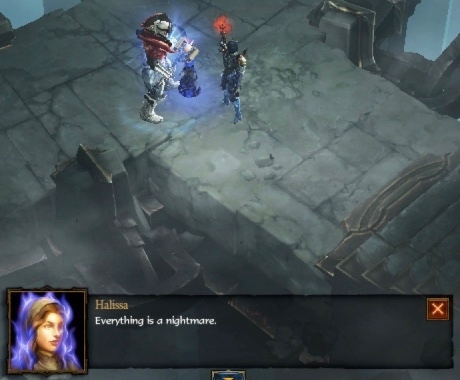 Halissa: Everything is a nightmare. Halissa: I don’t want you to go. Valla: I know. But it’s the only way I can set you free. You need to rest again. Valla then goes down the hallways to fight Malthael. She’s a Demon Hunter, so she came her with the intent to kill him. She wasn’t expecting to find the spirit of her little sister trapped in Pandemonium Fortress, and being used by Malthael as a power source. The result is that the battle between Valla and Malthael has taken on new meaning. Valla has been carrying around the grief and guilt of not being able to save Halissa when the girl fell into the river. Now, Valla has a second chance to save her sister. Valla has unexpectedly been given a way to redeem herself. 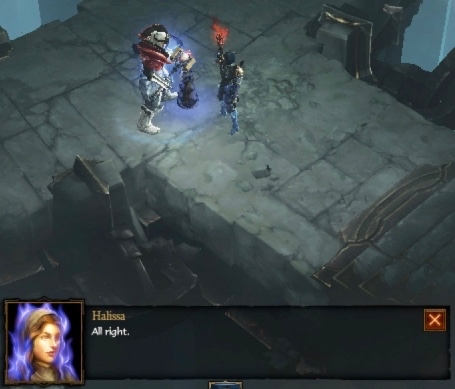 If you played through story mode as the female Demon Hunter… then you know that Valla killed Malthael. It is likely that she continued fighting demons after that. 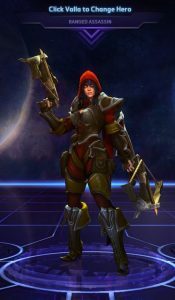 If you’ve played Heroes of the Storm, then you know that there is a Demon Hunter character named Valla. 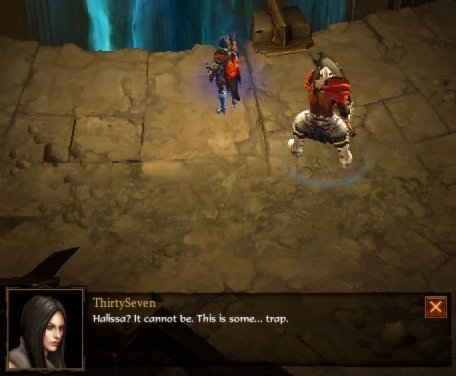 It’s the same Valla that was in Diablo III. 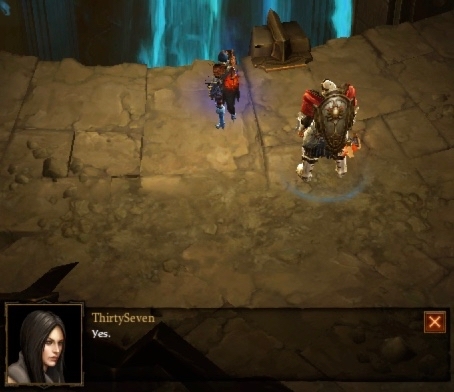 There’s an item in Diablo III that fills in the gap between the two games. Valla’s Bequest is a Legendary one-handed crossbow that can only be used by Demon Hunters. The word “bequest” means “a legacy”. It also means the action of bequeathing something. The flavor text on Valla’s Bequest says: Valla was one of the most lethal Demon Hunters ever known, until her abrupt disappearance. Some claim that she still lives, fighting in another land. Her body was never found, but she did leave behind her prized possession: this bow. The Lore of Valla the Demon Hunter is a post written by Jen Thorpe on Book of Jen and is not allowed to be copied to other sites.